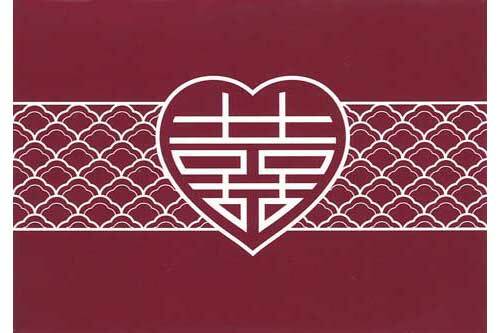 The heart-shaped auspicious character, double happiness, is a wonderful wish for forever happiness. The peony, a symbol of beauty, is an emblem of good fortune and peace. Also, the color pink symbolizes love.